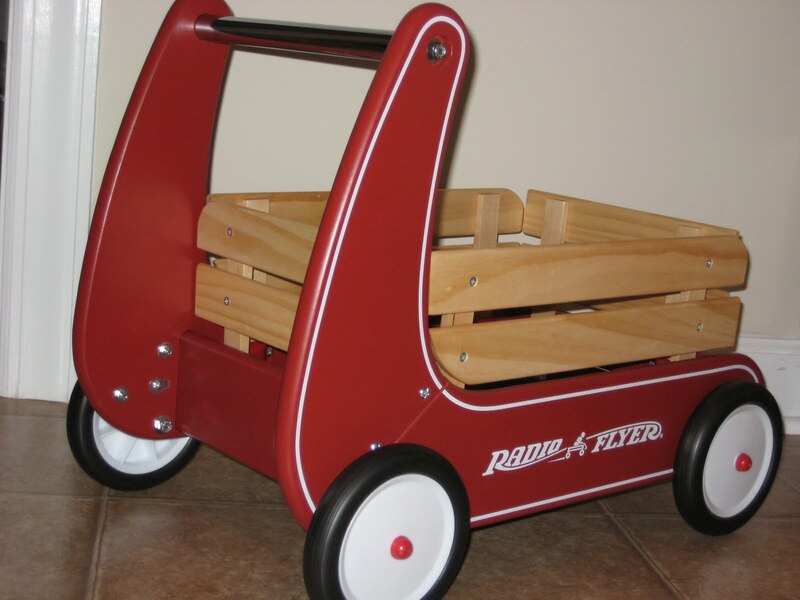 Radio Flyer wood "classic walker wagon" for the Birthday boy! 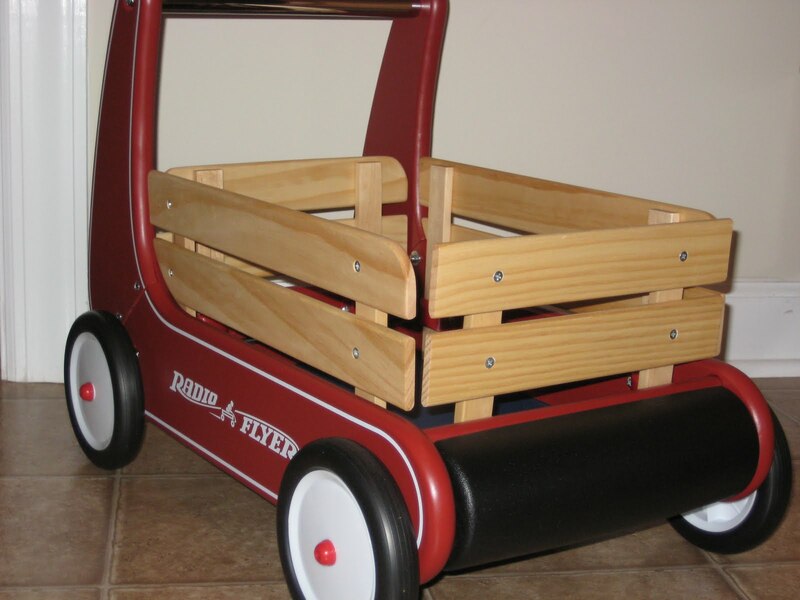 Radio Flyer wood “classic walker wagon” for the Birthday boy! We knew we wanted to get my son something “bigger” for his first birthday, especially since we only spent $20 for his first Christmas (in my defense, he was only 6 months old, didn’t care, and got tons from other people!) and didn’t do Easter stuff for him. I settled on a walking toy. I looked around and most of the plastic ones were in the $40 and under range. 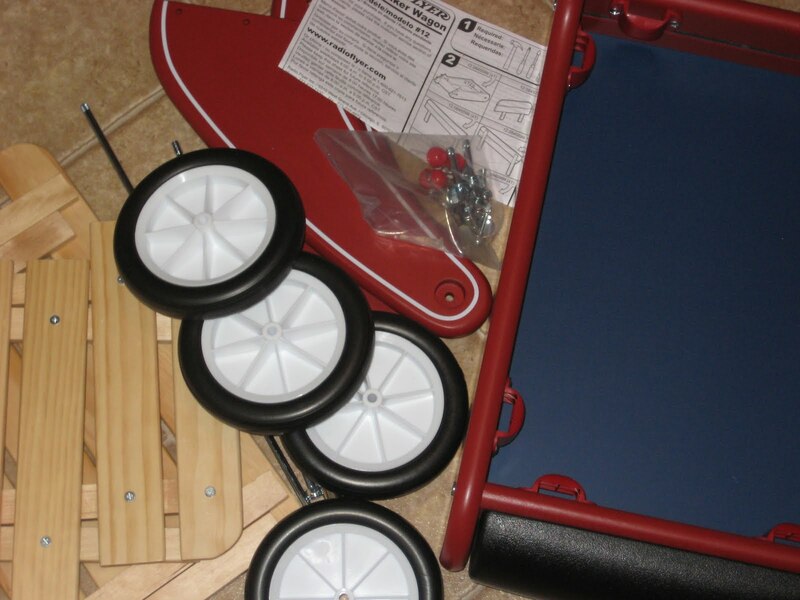 I didn’t really want plastic though, so I looked (online) at the EverEarth Activity Walker and the Parents Around the Block Wagon. They both seemed OK, but still a little expensive for something that would be outgrown so quickly. 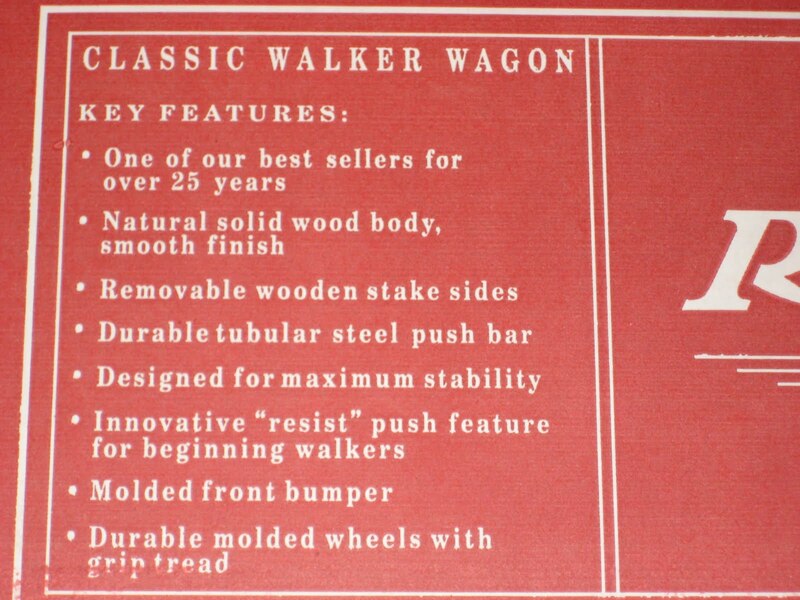 Then I found the Radio Flyer Classic Walker Wagon. It was more than double the cost of the plastic walking toys, and more expensive than the other wooden ones as well. I got a decent deal on it, free shipping and went through a cash back site. The site where I purchased it is also one that offers discounts to new customers, and referral credits as well. It was very expensive, but we didn’t do a party, I made the cake and this wagon will be played with long after cake and party favors are forgotten! It was a breeze to put together, I sat on the laundry room floor and did it myself while I was waiting for a load of diapers to finish. It has a nice little “bumper” to protect your walls and doorways, and the stake sides easily come off so little ones can climb in and out, or put things in and take them out. For me? I can’t believe it!! Note the adorable shirt! It was custom made for me by Nikki’s Little House. It is beautifully embroidered on a high quality shirt (not paper thin like some.) It was very reasonably priced too! I love that we have a unique Birthday shirt instead of the same one everyone else picked up at Gap. He loves it! My son is lazy not walking yet, so thus far, he’s only riding in it, putting things in it, standing hanging onto it, or pushing it without moving his legs (and being caught by yours truly before the inevitable face-plant.) 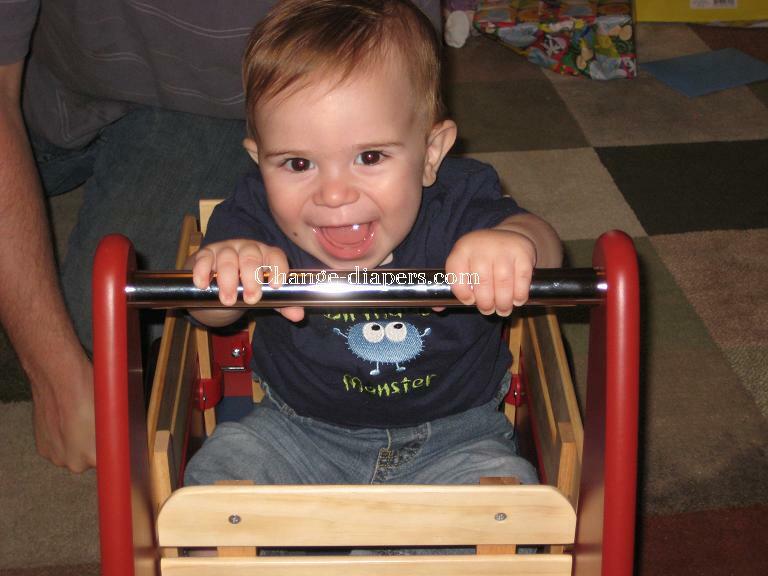 It has little plastic “clickers” that slow it down a little bit, to help him when he’s ready to start pulling up all by himself. Let them me eat cake! >I love that wagon! I wish I'd have known about it before we got this cheap plastic one that she now climbs on and it tips over. 🙁 And he is adorable in his birthday shirt! He has the most gorgeous eyes. Happy birthday buddy!! >Happy Mommy Birthday to you! Looks like you had a blast and I love the cake pictures!